We're always happy to take the chance here at the liGo blog to introduce our readers to another excellent product. Today, the spotlight is on a new member of our catalogue: the Motorola TLKR T41. 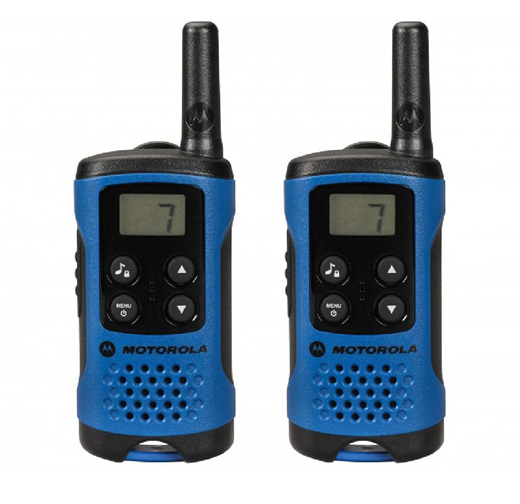 This set of two-way radios from Motorola is a great way to keep in touch on the go and an ideal piece of equipment to pack for an adventure hike or even an ideal part of gear for organising a large event. There are plenty of potential uses for a two-way radio system like the TLKR T41. Let's take a closer look at some details. The TLKR T41 represents an entry-level offering in Motorola's catalogue of two-way radio systems. An evolution from its younger brother the T40, the T41 has a refined, high quality design which lends to its durable and highly functional nature. It boats an impressive range of up to 4 kilometres, more than enough to handle just about every task. Eight channels are available, and the scan and monitor features allow you to find any activity on the airwaves and tune in. A pair of two way radios is something that is sure to find itself in many applications. Basic uses can range from keeping in touch with kids or family on an outing to the store or another every day activity, or keeping in touch while exploring a new area. They are highly useful in hikes or nature expeditions, where they can help coordinate parties that might be out of ear shot from one another. Two way radios can even make great toys, or serious implements highly useful for coordinating professionals on job sites or at events. At its highly affordable price point, the TLKR T41 is sure to find itself at home in a wide range of applications. This entry was posted in General on 21/10/2014 by Max.